A vote for Smoker Friendly is a vote for Havana Manor! 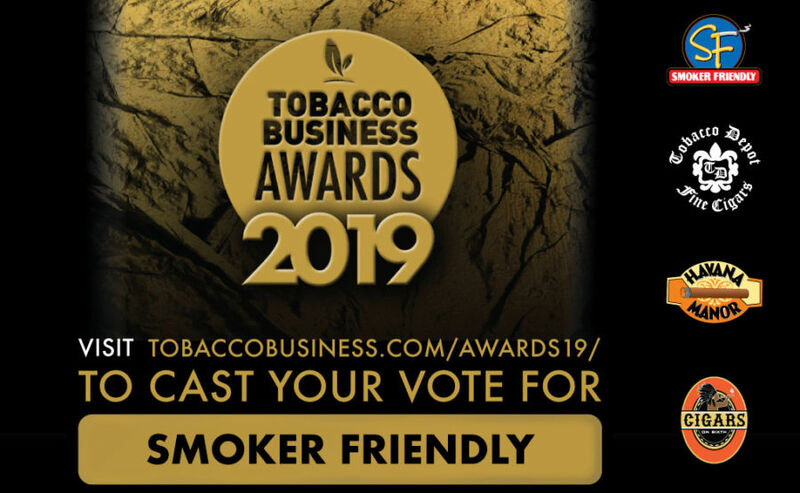 We are proud to announce that Smoker Friendly has been nominated for Best Tobacco Chain or Franchise of The Year in the Tobacco Business Awards. We are honored for this recognition within our industry and we appreciate that our dedication to excellent products, prices, and customer service has helped to build our reputation with the people that matter the most to us: Our customers.